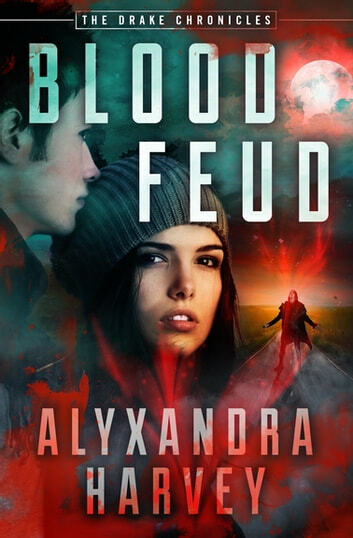 The YA fantasy romance saga continues with “vampires with bite and girls who bite back. A witty, exhilarating and fresh take on an old tale” (Kelley Armstrong). The day Isabeau St. Croix was turned into a vampire, she was buried alive and left for dead by a vicious British lord. Now, over two hundred years later, she has finally emerged from her nightmarish captivity to seek revenge. To her dismay, the vampire world is edging on chaos as different factions vie for power, and Isabeau soon finds herself pulled into the shadowy world of undead politics and betrayal. It is there she meets the handsome Logan Drake, whose noble family must fend off those who would try to usurp them. Then the dread vampire Montmartre begins a plot that will force Logan’s sister, Solange, into a marriage that will allow him to claim the throne for himself. And unless the clans stand together—and Isabeau and Logan stand with each other—the entire vampire realm may be torn asunder. With this second adventure in the Drake Chronicles, Alyxandra Harvey “continues to weave an action-packed story full of intrigue, suspense, and romance with a great cast of characters” (School Library Journal). Blood Feud is the 2nd book in the Drake Chronicles, which also includes Hearts at Stake and Out for Blood.